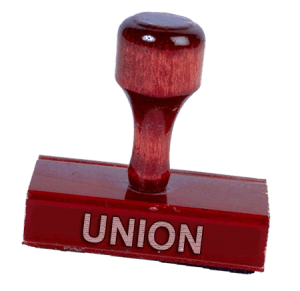 The role of unions in an employee accommodation request process has been decided by the BC Court of Appeal in Telus Communications Inc. v. Telecommunication Workers’ Union. The union’s role does not extend to all requests for accommodation. In Telus Communications Inc. v. Telecommunication Workers’ Union, 2017 BCCA 100, the BC Court of Appeal held that the Telecommunications Workers’ Union (the “Union”) did not have the right to participate in all employee requests for accommodation. An application for leave to appeal the Court of Appeal’s decision was recently dismissed by the Supreme Court of Canada, making the Court of Appeal’s decision the final word on the matter. The Union brought a grievance alleging that the employer, Telus Communications Inc. had breached the relevant collective agreement, the Canada Labour Code, and the Canadian Human Rights Act by refusing to provide the Union with notice, information, and consultation in respect of all employee requests for accommodation to address a medical disability. Telus took the position that the Union was only entitled to such notice, information, and consultation where the accommodation required a change in the collective agreement or where the employee requested Union representation. Otherwise, Telus maintained, the Union did not enjoy the rights it asserted. Arbitrator Sullivan upheld the grievance and concluded that the Union was entitled to notice, information, and consultation in respect of all employee requests for accommodation for a medical disability. He held that the exclusive bargaining authority of the Union, flowing from the certificate of bargaining authority under the Canada Labour Code, gave the Union the rights it claimed. Arbitrator Sullivan reached this conclusion despite the absence of any express term in the collective agreement providing such rights – in fact, the record revealed that during the bargaining process, the Union had attempted unsuccessfully to negotiate a provision explicitly granting it the rights it now claimed it was entitled to. Telus applied for judicial review. On judicial review, the BC Supreme Court set aside the arbitrator’s decisions as unreasonable (2015 BCSC 570). The Union appealed. The BC Court of Appeal upheld the BC Supreme Court’s ruling quashing the arbitrator’s decision. In the course of its analysis, the Court of Appeal found that the non-discrimination provisions of the collective agreement, which adopted the obligations set out under the Canadian Human Rights Act, did not provide a basis for the Union’s participation in all employee requests for accommodation. The Court of Appeal reasoned that while some requests for accommodation may involve discriminatory circumstances, it could not be said that all requests involve discrimination. The Court of Appeal also confirmed that, although a union has a role to play in the accommodation process when its participation is required to alleviate the application of a term contained in the collective agreement, the union’s role in the accommodation process does not necessarily extend to all cases. The Court of Appeal affirmed that in the absence of negotiated right, the Union does not have a general right to participate in matters of accommodation. The Court of Appeal ultimately concluded that the “pillar of reasoning” supporting the entire arbitration decision – namely, that the collective bargaining authority of the Union compelled its engagement in all requests for accommodation for medical disabilities – was in error and was unreasonable. It could not be said that the certificate of bargaining authority granted the Union the exclusive rights it claimed. Accordingly, the Court of Appeal held that the judge below had correctly concluded that the arbitrator’s decision could not stand. the employee has requested the union’s representation in connection with the request. However, unless at least one of the four conditions listed above is met, employers may be permitted to deal with the employee directly in relation to a request for accommodation, as the matter falls within the employer’s right to direct and manage the workforce. * This blog was written with the assistance of Connor Bildfell, Articling Student.